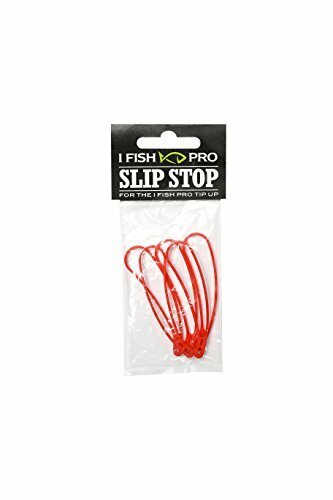 The Slip Stop is a floating device that is threaded onto your fishing line. When getting a bite, the Slip Stop releases the trigger mechanism the flag will then trip indicating you have a bite. It comes with two different line diameter holes to accommodate you for thicker or smaller line preference. Simply use a bobber stop to mark the depth that you are fishing, then thread on your Slip Stop.